All NEW! GMX 90cc Dirt Bike with Genuine 90cc SHINERAY High Performance Engine (4 Speed Auto Clutch), has the newest design with power-packed features! 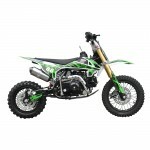 With triple suspension system, engine bashplate, and dual hydraulic disc brakes. It's a body of total performance with an electric or kick start! 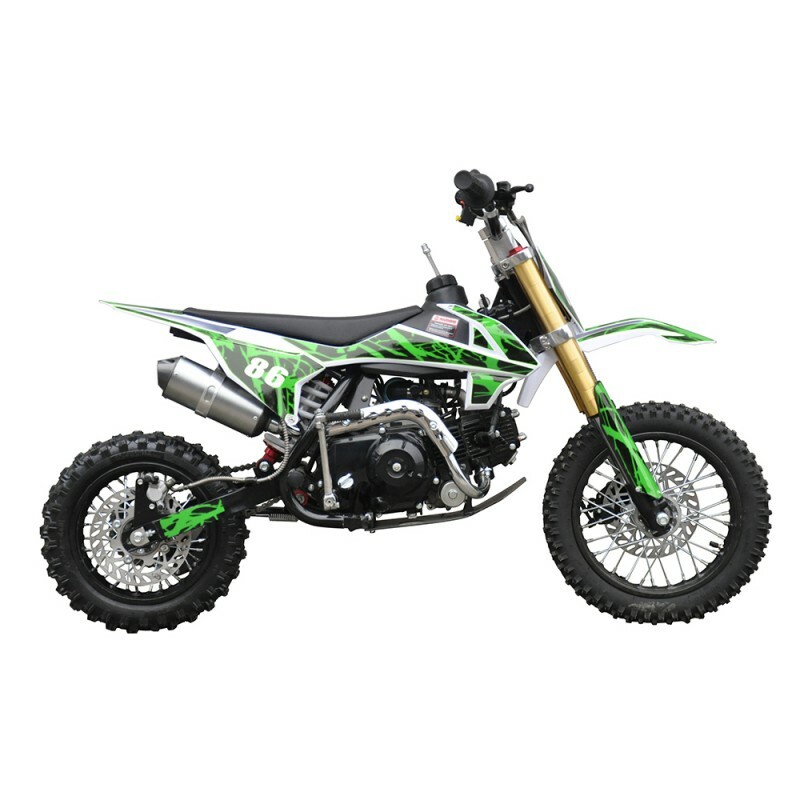 Heat up the ground and smash roads with a GMX 90cc Dirt bike! Important Safety & Product Information Always wear a helmet, product clothing and gear such as goggles, long sleeves, long pants, boots and gloves/hand protection when riding these products. For motorised products a motorbike standard helmet needs to be worn. Never let children ride dirt bikes that are meant for adults, even as passengers. Do not carry any passengers on dirt bikes that are meant for one person. 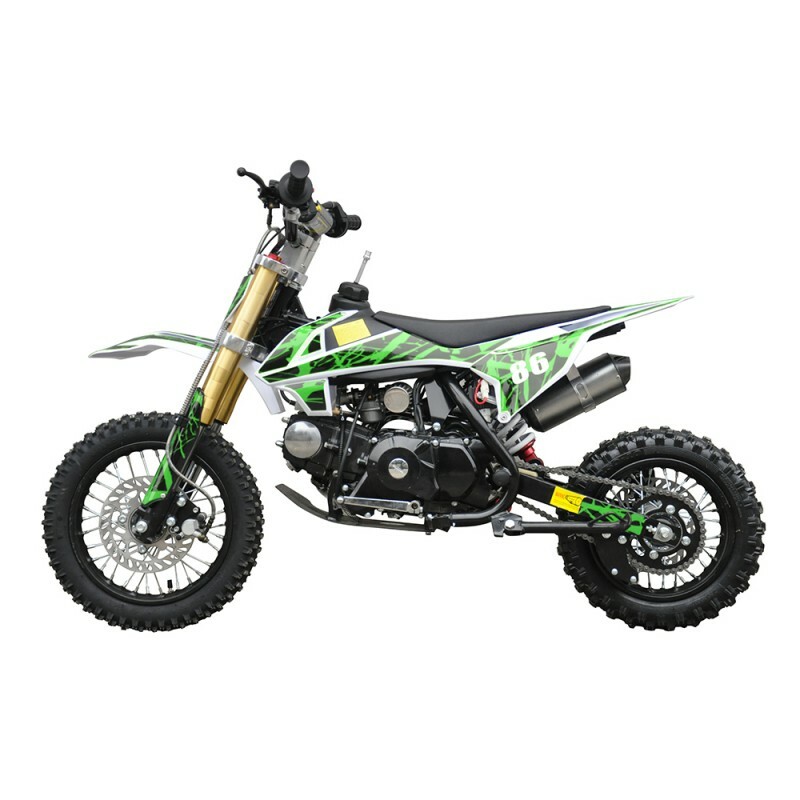 Dirt bikes are not all-terrain vehicles so they cannot go safely on all types of terrain. Avoid riding on rough terrain or steep slopes. Ride on familiar tracks and beware of obstacles. Never ride under the influence of alcohol/drugs. 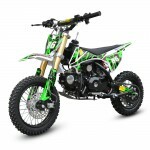 Ensure children are supervised at all times near any dirt bike activity. Always carry a mobile phone or radio device so you can contact help in case of an emergency. Always adhere to the maximum load of the product. Minor assembly is required In the interest of safety it is recommended that you have this bike assembled by a skilled bike mechanic. You may need to provide proof of being assembled by a skilled mechanic, if not a report from a small engine mechanic advising the issues to process you warranty claims. Labour is not covered under warranty. Warranty is a parts replacement warranty and does not cover labour costs. Defective parts may need to be sent back to us for inspection. Before using the product, check that all nuts, wiring and bolts are tightened as they can become loose during shipping. For the first tank, run in the engine, please do not over-rev the engine for the first 1-3 months as the engine is new and should be treated as such. This item is intended for off road use only.